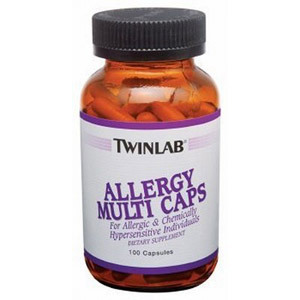 Allergy MultiCaps Multi Vitamins & Minerals For Allergic & Chemically Hypersensitive Individuals Allergy Multi Caps is the highest quality and most completely hypoallergenic multi vitamin and mineral capsule supplement available. It is specially designed for food and chemically hypersensitive individuals. Well tolerated by the most highly allergic individuals. Super Strength SinuFix Mist Quick symptomatic relief from virus-induced common cold and flu symptoms: Sneezing, Nasal Congestion, Throat Irritation, Stuffy Nose. 90% of germs, viruses and pollutants may enter your body through your nose! This super-charged, super-strength SinuFix mist, has an innovative formula specifically designed to fight the virus induced nasal allergy/sinus/cold/flu-like symptoms that may result from exposure to germs and viruses in the air in any crowded, potentially germ-infested environment. NaturalCare Super Strength SinuFix Mist Nasal Spray: Works in seconds; Safe to use as often as needed; Year-round relief; Non-prescription; No Chemical Dependency; No preservatives; No side-effects! 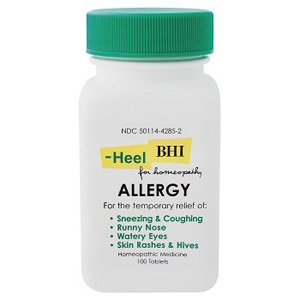 Indications: For the temporary, soothing relief of nasal congestion, sinus congestion and pressure, and dry, irritated nasal membranes associated with sinusitis, irritated/swollen sinus passages, hay fever, a cold, overuse of decongestant sprays or drops, or other upper respiratory allergies (allergic rhinitis). Helps clear nasal passages and promote nasal and/or sinus drainage. Directions: Adults and children 6 yrs of age and older: Clear the nasal passageway by gently blowing your nose prior to using SinuFix. Remove the safety clip on the bottle. Prior to initial use, prime the pump by holding it upright and pumping 1 or more times into a tissue until the solution is dispensed. Insert nozzle into nostril and depress pump completely while breathing in through your nose. Spray 1-2 times in each nostril every 2-4 hours until symptoms subside. The nasal pump sprayer provides precise dose delivery of the soothing spray in a fine mist. Wipe nozzle clean after each use and replace cap. Children under 6 years of age: Consult a health care professional. Warnings: The use of this container by more than one person may spread infection. If you are pregnant or nursing a baby, seek the advice of a health professional before use. If symptoms worsen or do not improve within 7-14 days, or are accompanied by fever, consult your doctor. Keep out of the reach of children. 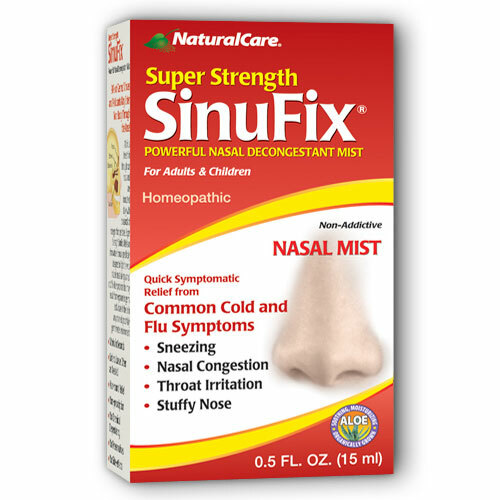 SinuFix Mist – For Fast, Natural Sinus Relief. Sinus Pressure Nasal Congestion Soothes Dry, Irritated Nasal Passages Cleanses & Moisturizes Works in Seconds Safe to Use as Often as Needed No Synthetic Drugs Dispenses Fine Mist in Precise Dose Spray No Chemical Dependency No Side-effects SinuFix Mist Nasal Spray helps make nasal passages and sinuses feel clear and more comfortable so you can breathe and sleep better, fast! SinuFix Mist Spray contains the highest quality and purity, plus the most effective form of natural ingredients for healthy sinus and respiratory function. 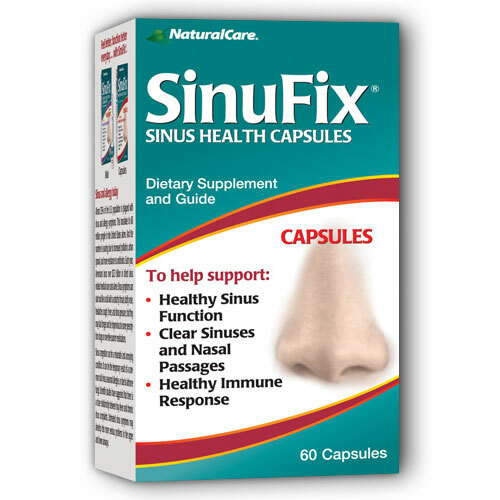 SinuFix Gets to the Heart of Sinus and Allergy Symptoms… Before They Start! About 60 million people in the United States are plagued with sinus and allergy symptoms. And the number is soaring due to increased population and more resistance to antibiotics. Sinus congestion is miserable, and never seems to leave. It can start out like a cold with a scratchy throat, stuffy nose, headache, cough, fever, and sinus pressure, but it may last longer. And be impervious to some prescription drugs or over-the-counter medications. NaturalCare is proud to introduce Dr. Bob Martin’s breakthrough new products for sinus and allergy support. 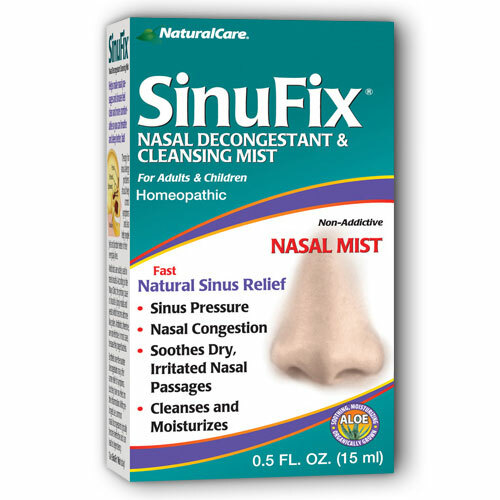 SinuFix Mist relieves sinus pressure and nasal congestion, soothes dry, irritated nasal passages, and cleanses and moisturizes nasal and sinus passages so you can breathe and sleep better! It is a breakthrough patent-pending spray mist that is non-addicting, ephedra-free, and contains 100% natural ingredients. And SinuFix Capsules support healthy sinuses and nasal passages, promote healthy immune response, and help maintain overall well-being! SinuFix Mist Spray Ingredients Active Ingredients: Allium Cepa 6x, Ambrosia Artemisiaefolia 6x Argentum metallicum 8x (silver) Echinacea Angustifolia 3x, 6x, 12x Euphorbium officinarum 4x, 6x, 12x Hepar Sulphuris Calcareum 8x Hydrastis canadensis 3x, 6x, 12x Kali Bichromicum 6x, 10x Kali sulphuricum 3x, 6x, 12x Lemna minor 3x Luffa Operculata 6x Origanum vulgare 3x, 6x Pulsatilla 3x Sabadilla 6x Sanguinaria Canadensis 6x Silicea 8x Spigelia Anthelmia 3x Zincum Gluconicum 2x, 6x. AirDefense Nasal Decongestant Mist A Real Weapon Against Symptoms Resulting from Harmful Germs In the Air. Virus-induced Cold, Allergy, or Stuffy Nose Symptoms Nasal Congestion Dry, Irritated Nasal Membranes Indications: for the temporary, soothing relief of nasal congestion, dry, irritated nasal membranes associated with a cold, hay fever, or other upper respiratory allergies (allergic rhinitis), sinusitis, irritated/swollen sinus passages, and sinus congestion and pressure. Helps cleanse nasal passages and promote nasal and/or sinus drainage. NaturalCare AirDefense (Air Defense) was created specifically to fight the nasal allergy/sinus/cold/flu-like symptoms that may result from exposure to germs and viruses in the air in any crowded, potentially germ-infested environment. Use it at the first sign of symptoms! Keep it handy when you are around others who may be sick! 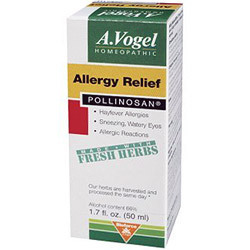 Safe to use as often as needed Non-addictive No synthetic drugs No artificial preservatives Provides fine mist in precise dose spray No chemical dependency Non-prescription No side-effects AirDefense Ingredients Active Ingredients: Spigelia Anthelmia (Pink root) 3X, Origanum vulgare (Oregano) 3X, 6X, Luffa Operculata (Luffa fruit) 6X, Hydrastis Canadensis (Golden Seal) 3X, 6X, 12X, Echinacea Angustifolia (Cone Flower) 3X, 6X, 12X, Zincum Gluconicum (Zinc gluconate) 2X, 6X, Euphorbium officinarum 4X, 6X, 12X, Argentum metallicum (Silver) 8X, Kali sulphuricum (Potassium sulfate) 3X, 6X, 12X, Allium Cepa (Red Onion) 6X, Ambrosia Artemisiaefolia (Ragweed) 6X, Hepar Sulphuris Calcareum (Calcium sulfide) 8X, Kali Bichromicum (Potassium dichromate) 6X, 10X, Sanguinaria Canadensis (Blood root) 6X, Lemna minor (Duckweed) 3X, Pulsatilla (Windflower) 3X, Sabadilla (Cevadilla seed) 6X, Silicea (Silicon dioxide) 8X. Other Ingredients: Aloe Vera extract, Bitter Melon extract (Momordica charantia)(fruit), Colloidal Silver, d-Mannose (natural saccharide), Grapefruit Seed extract, Green Tea extract, Licorice extract (root) and Tea Tree Oil. Free Of: Synthetic drugs, artificial preservatives, side-effects. 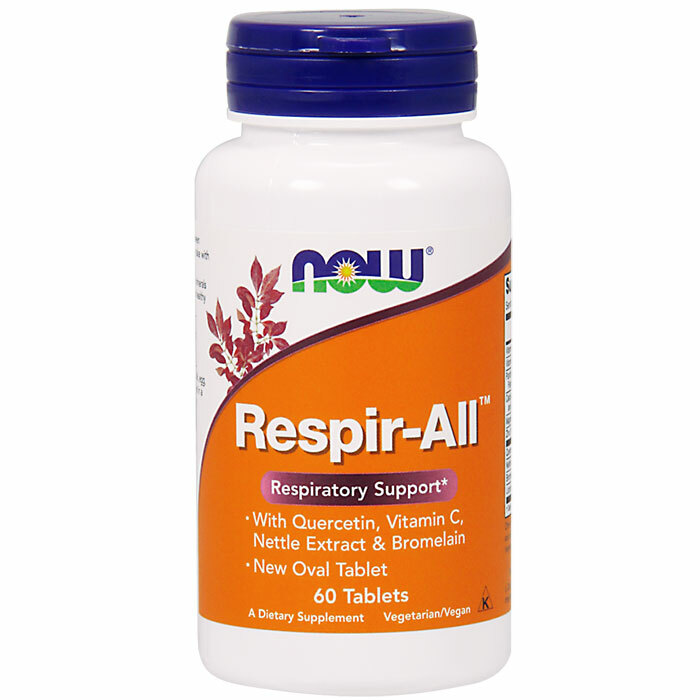 Directions Adults and children 6 years of age and older: Use at the first sign of symptoms. Clear the nasal passageway by blowing your nose prior to using the spray mist. Remove the safety clip on the bottle. Prior to initial use, prime the pump by holding it upright and pumping 1 or more times into a tissue until the solution is dispensed. Insert nozzle into nostril and depress pump completely while breathing in through your nose. Spray 1-2 times in each nostril every 2-4 hours until symptoms subside. The nasal pump sprayer provides the precise dose delivery of the soothing spray in a fine mist. Wipe nozzle clean after each use and replace cap. Children under 6 years of age consult a physician. Warnings The use of this container by more than one person may spread infection. If you are pregnant or nursing a baby, seek the advice of a health professional before use. If symptoms worsen or do not improve within 7-14 days, or are accompanied by fever, consult your doctor. Keep out of reach of children. 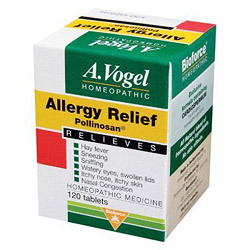 You are currently browsing the archives for the Allergy Relief category.